Yumiko Sato debuted as Tessie in the musical "Annie" when she was eight years old, and since then she has been active mainly in the musical field. She was chosen as the heroine of NHK's morning serialdrama "Amakara-shan" from among a total 1863 entrants. 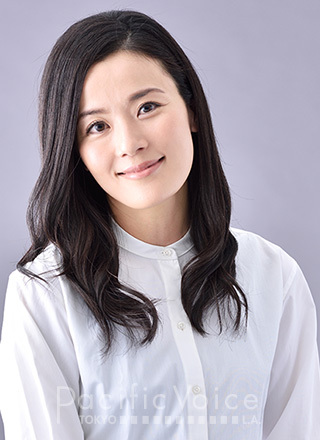 In this drama she played Izumi Sakaki, a woman who is trying to break into the world of the chief sake brewer in Nada at a time when women were excluded. These days she appears in commercials, in films, and on TV. CM “Avantbise” Wakamoto Co., Ltd.
CM “Proud City Shin-Kawasaki” Nomura Real Estate Development Co., Ltd.